Outlander Homepage: The list of Emmy nominations for Outlander by GoldDerby! The list of Emmy nominations for Outlander by GoldDerby! Starz’s “Outlander” has officially submitted 14 performers for consideration at this year’s Emmy Awards. (Visit our forums to view the link to the 2016 Emmy ballot.) 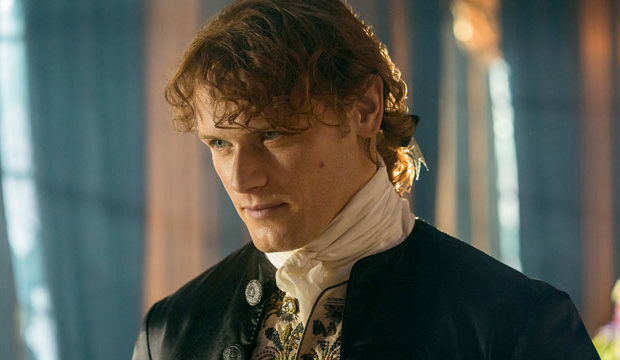 Lead actor contender Sam Heughan made the cut, as did recent Golden Globes nominees Caitriona Balfe and Tobias Menzies. The other 11 entries on the ballot are drawn from the show’s vast ensemble of supporting and guest roles. Lead and supporting performers need only name their chosen episodes that best represent their work if they receive a nomination. However, all guest performers must specify one episode for consideration on the nomination ballot; we provide this information in the photo gallery. Emmy contenders may be entered into competition by many different sources: production companies, TV networks, agents, managers, publicists or the contenders themselves. If your favorite “Outlander” stars were not submitted on the ballot, that does not mean those contenders were purposefully shut out of their races. They could’ve entered themselves if they were willing to pay the submission fees, which can cost more than $200, or if they used up one of the free entries they get if they are dues-paying members of the Television Academy. Whenever someone or a TV program is left off of the Emmy ballot, it can be difficult to figure out who is responsible. “Outlander” earned an Emmy nomination in 2015 for Best Music Composition for Bear McCreary. And at the recent Golden Globes it picked up a trio of nominations: Best TV Drama Series, Best TV Drama Actress (Balfe) and Best TV Supporting Actor (Menzies). Will the second season get even more awards love?